Sears has been looking down the barrel of the liquidation gun for years at this point. However, the company narrowly escaped its end once again when Chairman Eddie Lampert submitted a $4.6 billion bid for the company before the end of the business day Friday. This isn’t a surprise to anyone who has been following the downward spiral of Sears this year. On October 15, 2018, the company filed for bankruptcy. Prior to receiving the $4.6 billion bid on Friday, Sears announced it would close an additional 80 stores. That would bring the total number of store closings for 2018 up to 260. While the life-saving bid still needs approval from Sears Holdings’ board in January, it has saved the company (for now). The offer will save 435 of the 482 stores in the U.S. and 50,000 of the 68,000 jobs currently held at Sears. Although it is unlikely to happen, there is still a possibility the bid is rejected by the board. 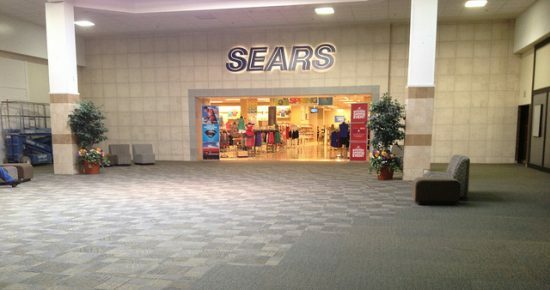 Even if the bid is accepted, there is still a chance Sears may still go out of business. Most consumers have been waiting years for the day Sears would close its door for good. It has often been referred to as the longest going-out-of-business sale in history. There is no doubt the company is entering the new year in less-than-desirable circumstances. The 125-year-old company may not survive the coming year. However, there is no doubt its brands will live on. Craftsman, Die Hard, Kenmore, and Sears will all live on as stand-alone stores or concepts. For now, Sears is being given a second chance. Whether the board accepts the offer or the company itself can withstand the pressure being put on it has yet to be seen. What do you think? Is Sears finally going to go out of business?